I've been thinking a lot about the phrase, "It was the worst thing ever!" Is it really now? When you fell on your bum skiing was it that bad? What about if you slid down a slide of razor blades into a nice cool pool of salt water? Would falling on your bum skiing still be the worst? Or how about your hot air balloon blowing up over a volcano inhabited by oompa loompas? Or having to ride the "Small World" ride at Disney over and over and over...? I think Small World is an horrific experience. But it's not the worst thing ever. But for me it gets pretty close. 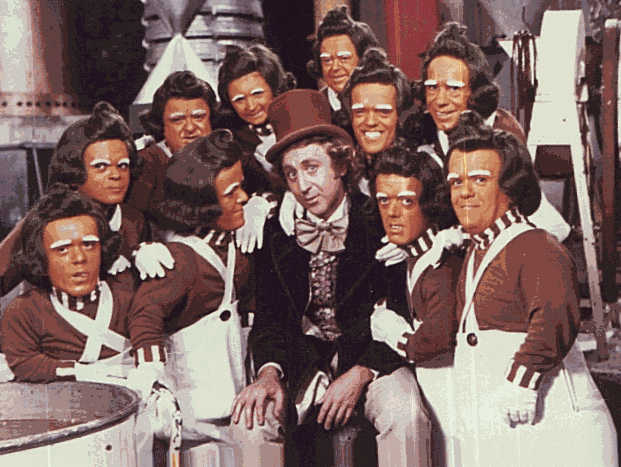 But if the oompa loompas are the faux-tanned ones, that's freaky. but the cloned oompa loompa makes me chuckle. I think the worst thing ever would involve going on "It's a Small Cockroach Word" ride over and over.